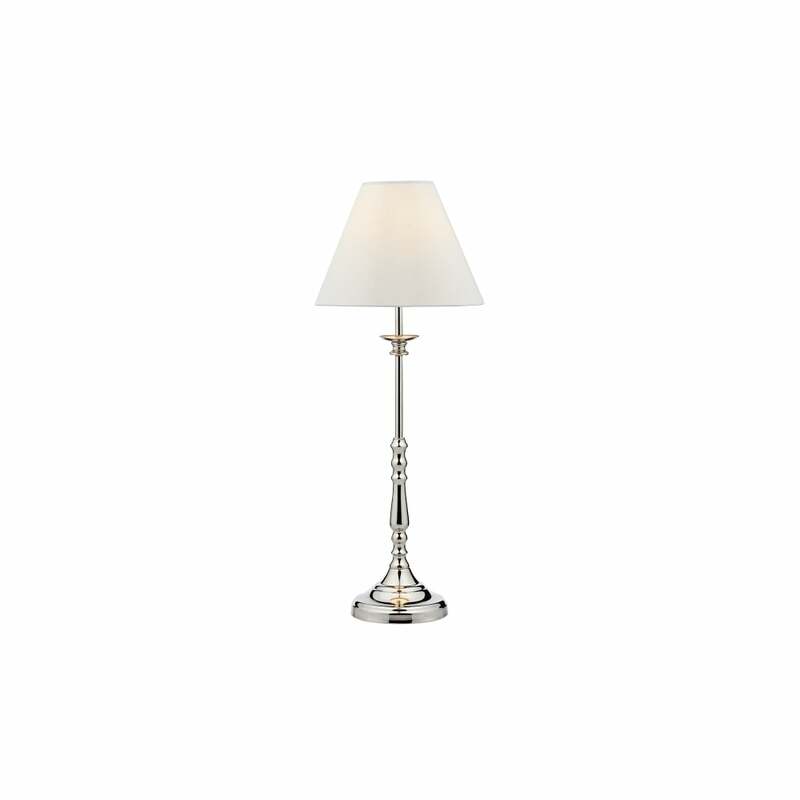 Dar Lighting Blenheim single light table lamp features a circular design base with slender rod in polished chrome finish holding a tapered ivory shade. The delicate leaf design on the cream shade adds an elegant touch to this classic table lamp making it a perfect choice for both modern or traditional decors. Double insulated and operated by an inline rocker switch. This product code is BLE4138. Also available in satin chrome or antique brass finish and a matching floor lamp all of which can be ordered from our website.